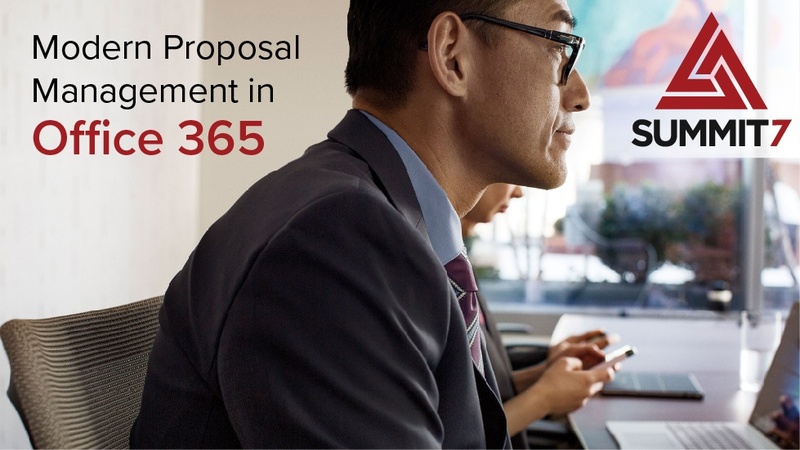 Proposal Managers typically have a process in place for how they coordinate writing assignments, meetings, reviews, data calls, and the other long list of routine tasks associated with responding to solicitations. Though some processes may need improvement (different matter), the vast majority of government contractors can most improve their efficiencies by simply using more of the technology readily available to them. 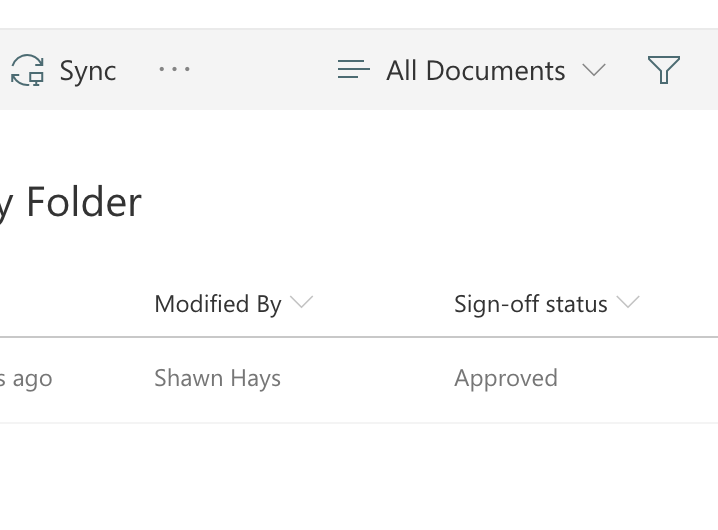 DID YOU KNOW: Contractors that use modern out-of-the-box SharePoint Online functionality and Flow cut down on the coordination and processing time of each data call by half. Also, a companies IT department does not need to be involved in the creation, management, and archival of sites and folders. Nor do they need to intimately involved in the security and governance of sensitive data (corporate, CUI, or otherwise). 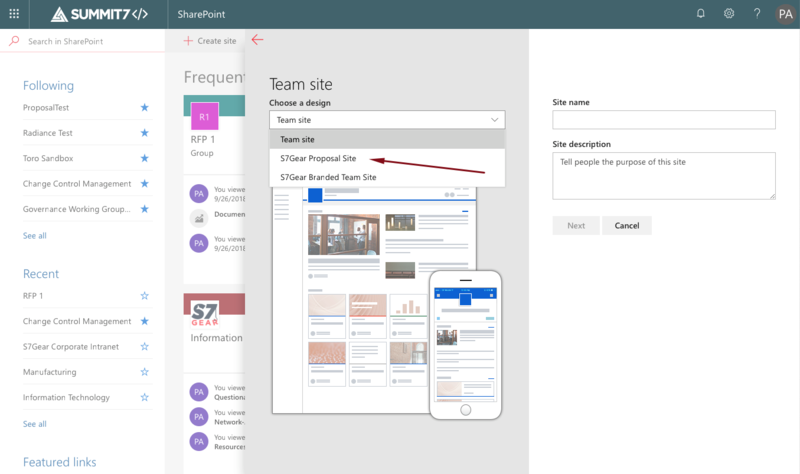 With the right configuration of Office 365 and SharePoint Online, this activity can be intuitively administered by proposal staff or automated altogether. 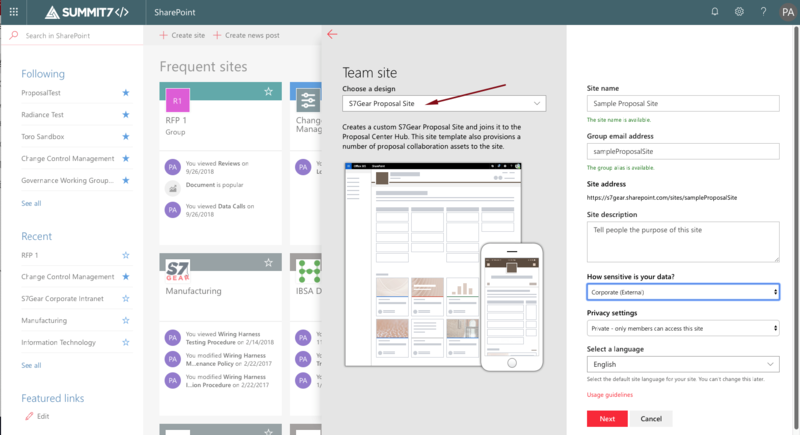 DID YOU KNOW: Companies that provision new sites for each proposal effort using modern SharePoint Site Designs and scripts save 2-3 hours of build out for each proposal. 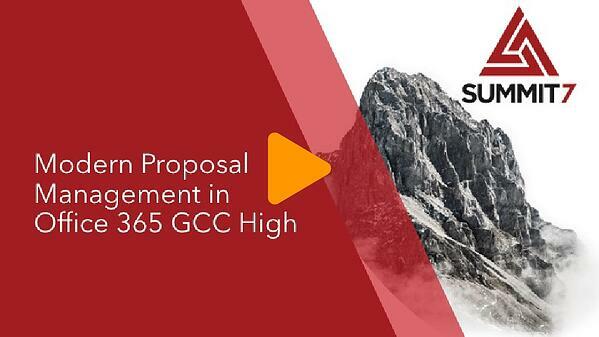 The following examples only scratch the surface, but you can request a full demo on proposal management modernization at the bottom of this page. With three clicks, a company can deploy a new site for a proposal. This site will contain all of the standard folders, templates, lists, calendars, links, and security settings effortlessly. Additionally, certain security features can be provisioned without lifting a finger. The Cost Volume folder may need to be locked down for 'internal users only' at all times regardless of the proposal effort or stage. This configuration would be established each time a new site was created. Every proposal effort carries with it a set of 50-100 deadlines and events. In some cases, you only want to view the review schedule, and in others you would like to see a roll-up of all proposal activities. With Office 365, your template could contain event types that allow for synchronization across calendars. See an example below of this efficiency below. A single data call could take up to a dozen emails to manage. With Office 365, your team can send out a data call and instructions without opening an email or typing in every email address in. Below is an example of this. Then each teammate could notify the proposal manager once the data call is complete through a built in Flow. This will notify the manager of the update and allows that person to keep track of each data call as they come in - no email and no dropped communication. Once the manager approves that the data call is complete to his/her satisfaction, the author will receive notice, and the status of the document will reflect the approval. Here's a close up of the status change. There are too many native features of Office 365 to cover. For a full demo or to get a quote on a proposal management solution right for your company please fill out the form here. Our team is happy to delve into the complete set of possibilities and answer any questions you may have.